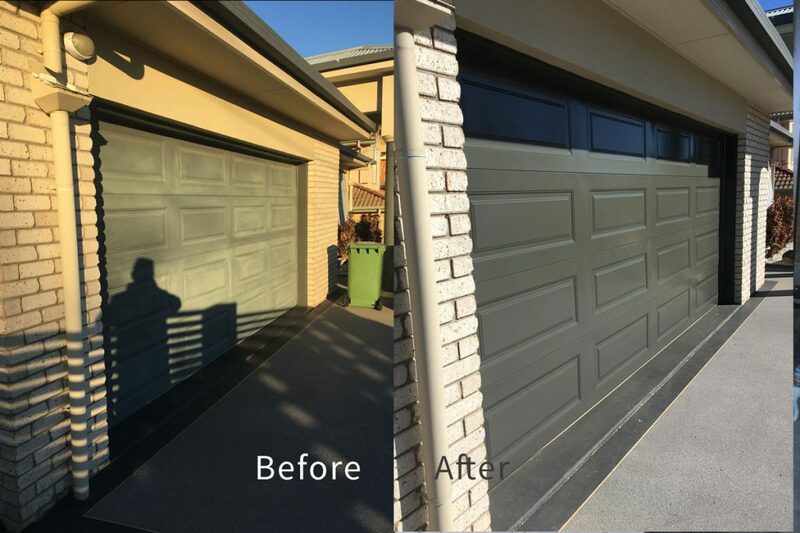 Brisbane, Gold Coast and Sunshine Coast home owners, create street appeal and save thousands by recolouring your old garage door. Why replace your faded, oxidised garage door when you can recolour and restore it instead... for a fraction of the cost? Are you renovating your home but don’t know how to spruce up the old garage door? Is it still working fine, but just looking a bit tired and faded? You might be thinking you need to replace the whole garage door. There is an alternative that can save you time and money and create a more attractive finish (and add great street appeal) to your home. Whether you live in Brisbane, the Gold Coast, Sunshine Coast or in Regional Queensland, there is a better (and much cheaper) way to bring new life to your old garage door. Instead of replacing it – recolour and restore it! Recolouring or repainting your garage door or roller door is a fast, easy and economical solution that will give your home an instant facelift. You might be planning to modernise the property for yourself, or renovate it for sale. The house is looking great, but the old roller door has become ‘chalky-looking’ over time. This happens through oxidation as it’s exposed to the elements. If the door is working fine, even if the joinery has become corroded, there is no need to replace it. A new garage door will cost you thousands… and why replace it when there is still plenty of life left in it? Professional aluminium recolouring and restoration is based on automotive quality spraying techniques to create an immaculate finish in matte, gloss or satin to match the rest of your home. With recolouring, your faded, oxidised old garage door can look as good as new – or even better – for a lot less than the cost of replacing! So why spend loads of time and big money replacing your aluminium garage door or roller door when you can create a stunning finish with recolouring? 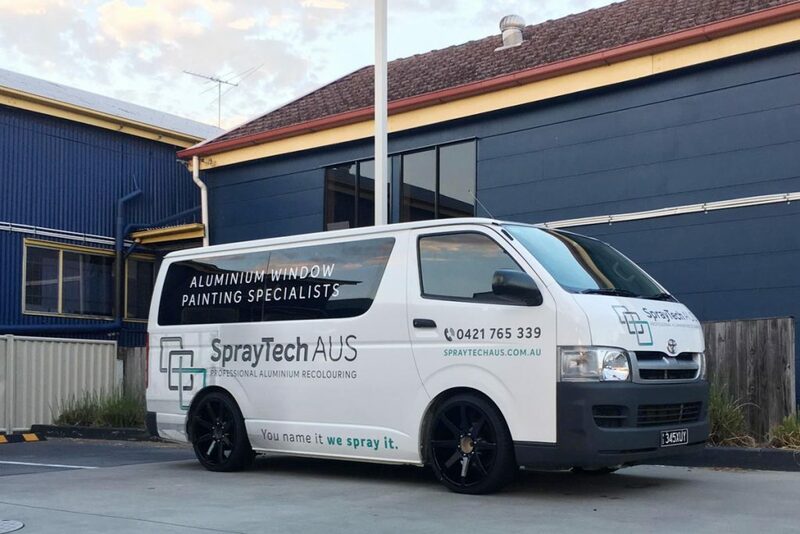 SprayTech Aus is built on the back of almost a decade of experience in automotive refinishing. We apply many of the same techniques to aluminium window and door recolouring and repainting and have become renowned for our quality workmanship. Our highly skilled team of qualified, licensed sprayers pride ourselves on providing professional restoration and repair work for a fraction of the cost of replacement. You don’t even need to leave the house. Just continue working while we spray – no mess, no fuss! SprayTech Aus is now the top rated choice for aluminium recolouring and repair in Queensland; something we’re very proud of. Aluminium recolouring is long-lasting. We guarantee it. 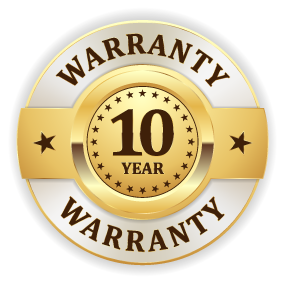 All SprayTech Aus aluminium repainting services come with a ten year warranty. We stand by our quality workmanship so you can have peace of mind. It’s our guarantee to you. We’ve built our reputation by providing a high quality service at a competitive price. You may be tempted to hand paint your garage door, or give that old roller door a quick respray yourself. We know from experience, it will look awful. Then you’ll either be stuck with a dodgy door that your potential buyer will spot straight away, or you’ll be calling us to come and fix it. Save yourself the time and money and call us first. We’ll come and check it out and give you a quote. Just fill in the form below for a no-obligation quote on professionally recolouring your aluminium garage door or roller door. Let’s see how much time and money we can save you!